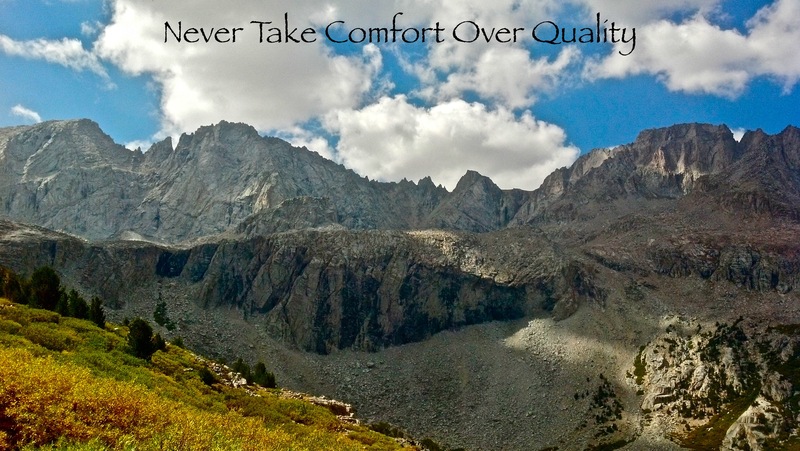 Never Take Comfort Over Quality | I am You. We are God. I ponder this often, as it is a constant and ongoing choice, and work towards the best both/and lifestyle I can achieve from my standpoint. I am a parent of older kids. The UVM freshman (who hiked the Long Trail with his girlfriend & new friends this summer) needs a place to come home to when the dorms close. And I can’t wait to see my adventurous son again. I am someone with chronic pain & insomnia, so I need daily routine to function well, except when outside daily life–on a pilgrimage! Your photo and words are a good nudge out of the kind of comfort that drains verve and vitality! Back to the distinct discomfort of writing a dissertation I may not be able to finish.